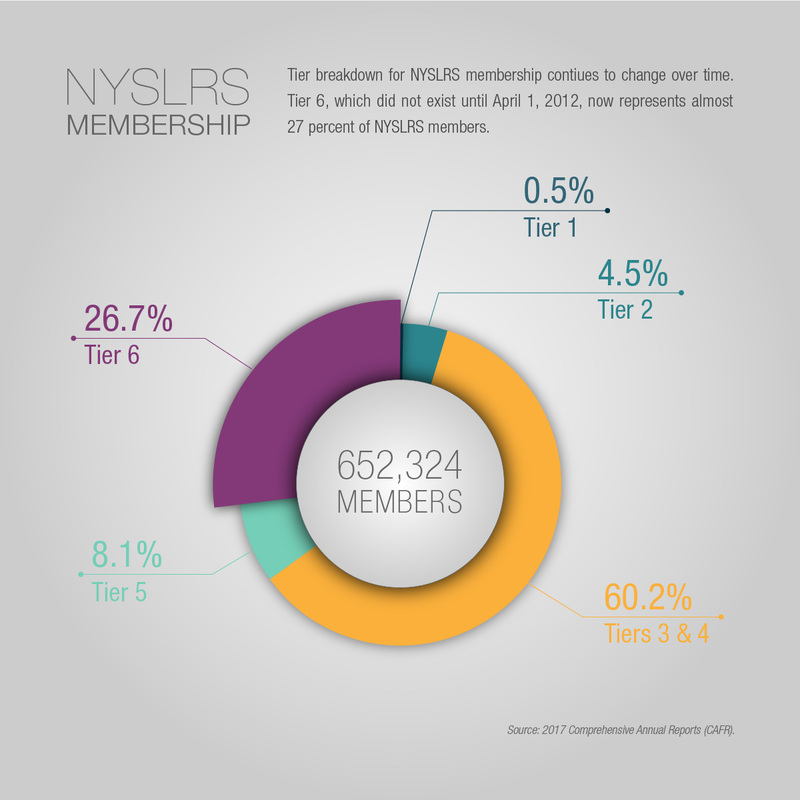 We base your NYSLRS pension on your years of credited service and your final average salary (FAS). FAS is the average of the wages you earned during 36 consecutive months (60 consecutive months for Tier 6 members) when your earnings were highest. 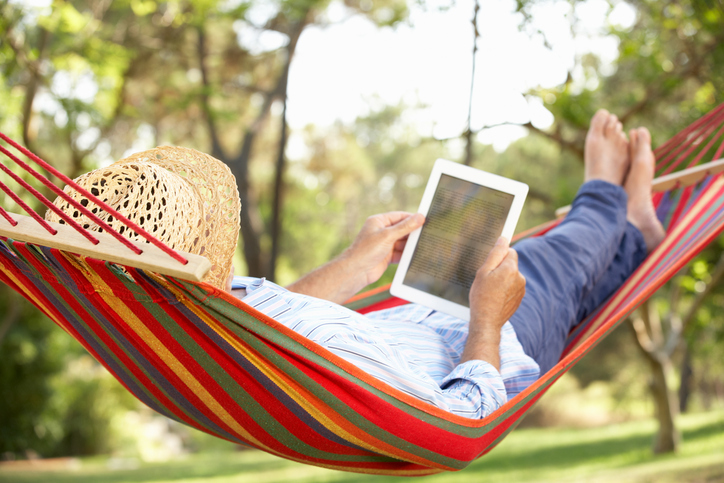 The calculation of your FAS can include overtime pay that you’ve earned during the FAS period. 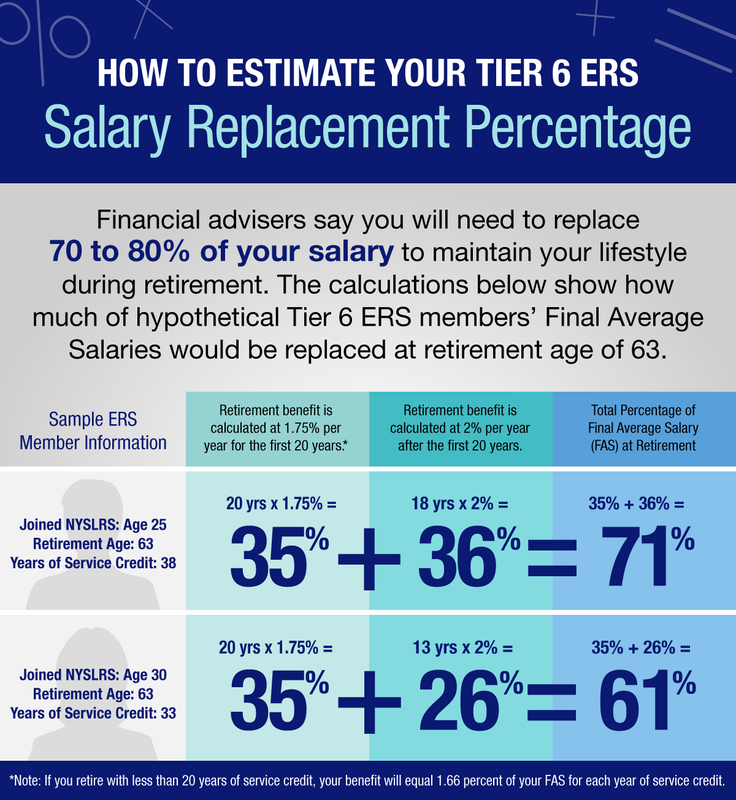 Tier 5 and Tier 6 members have limits on how much overtime can be included in their FAS calculation. Overtime pay that exceeds these limits cannot be used in a Tier 5 or 6 member’s FAS calculation. Therefore, members and employers are not required to make pension contributions on overtime pay that exceeds the annual limit. 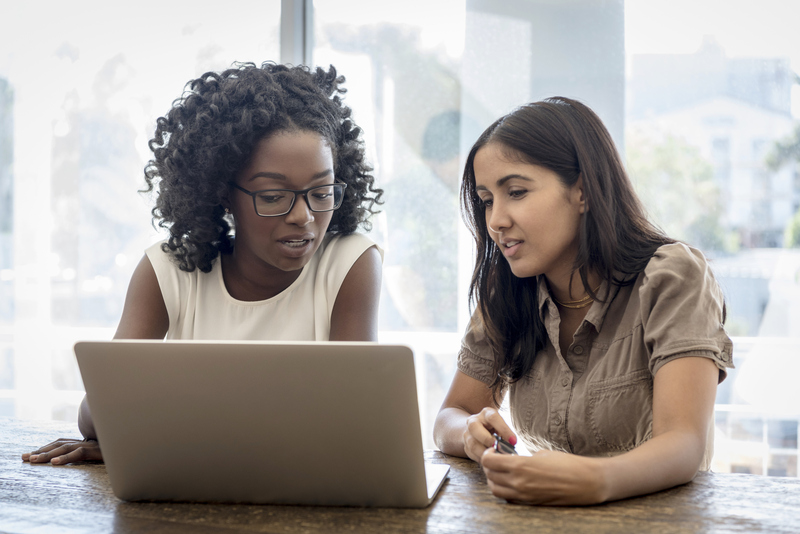 Your employer should not report any overtime pay in excess of this cap to NYSLRS as it cannot be used in a member’s final average salary calculation. Each year, NYSLRS publishes the maximum overtime pay that should be reported and reminds employers not to report overtime earnings that exceed the limit. 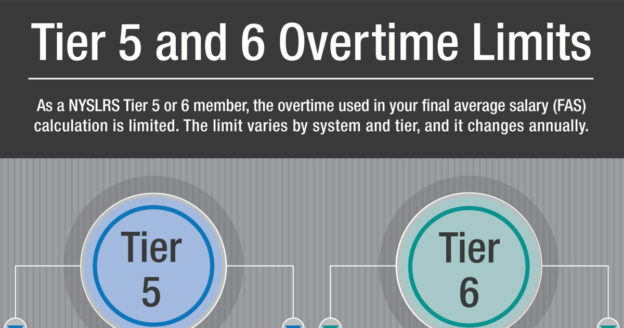 The overtime limit for Tier 5 began in 2010 at $15,000 and increases each calendar year by three percent. This year, the overtime limit for ERS Tier 5 members is $17,910.78. 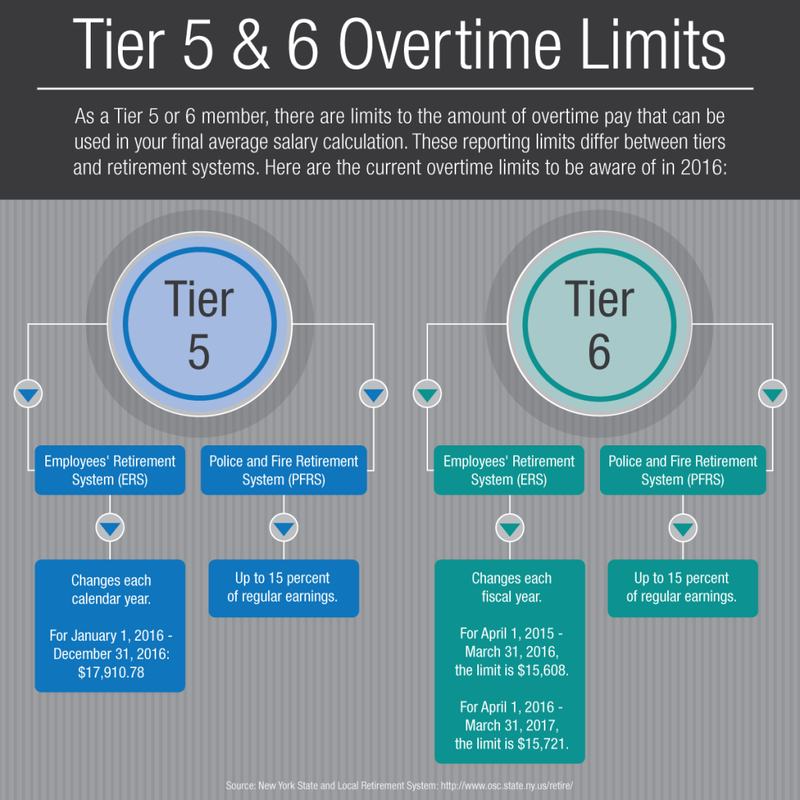 In 2017, the overtime limit for ERS Tier 5 members will be $18,448.11. 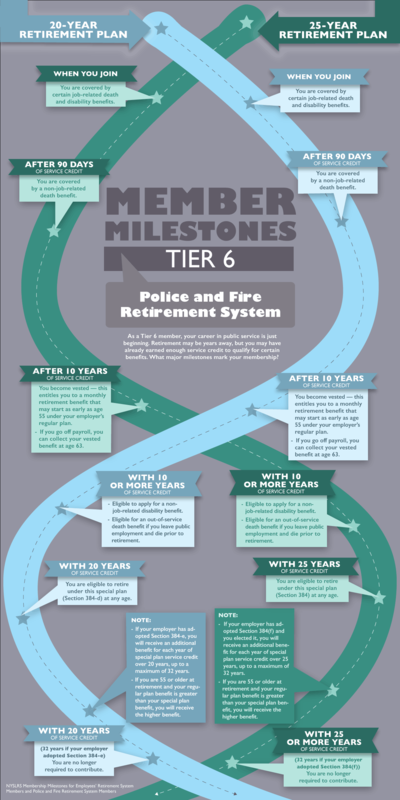 For PFRS Tier 5 members, overtime is limited to 15 percent of a member’s regular earnings. 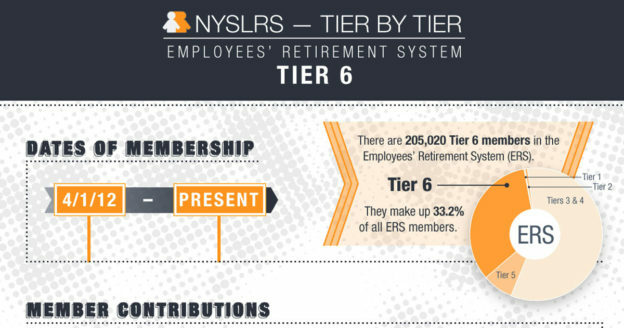 For ERS Tier 6 members, the overtime limit is based on the State’s fiscal year (April 1 – March 31). 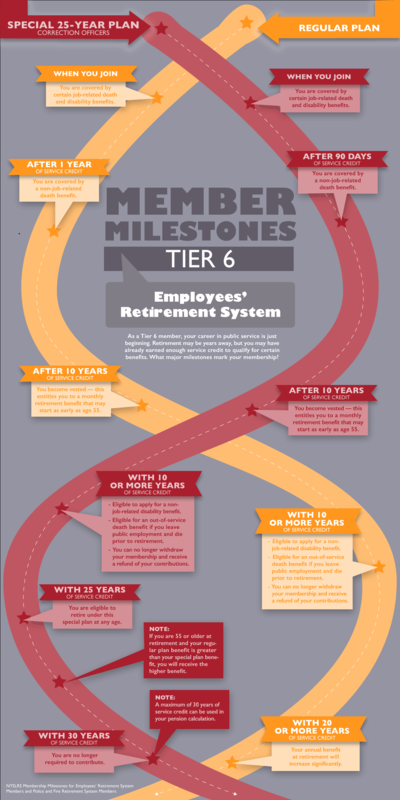 From April 1, 2015 – March 31, 2016, the overtime limit for ERS Tier 6 members is $15,608. From April 1, 2016 – March 31, 2017, that limit will increase to $15,721. The fiscal year limit is adjusted for inflation based on the annual Consumer Price Index (CPI). 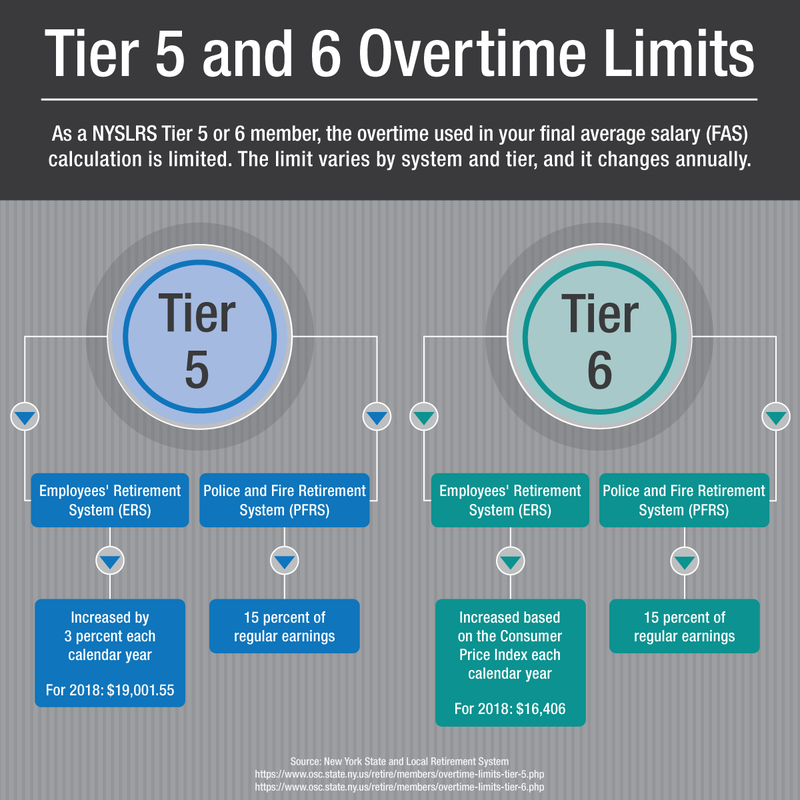 The overtime limit for PFRS Tier 6 members is limited to 15 percent of a member’s regular earnings. Please visit our website if you have questions about Tier 5 overtime limits or Tier 6 overtime limits. This entry was posted in General News, Members and tagged ERS, FAS, Final average salary, Information is the Key, know your benefits, members, New Members, New York State & Local Retirement System, NYSLRS, Overtime, overtime limits, overtime pay, PFRS, retirement, retirement plan, retirement planning, Service credit, Tier 5, Tier 6 on March 23, 2016 by NYSLRS.